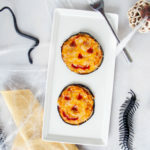 Halloween Eggplant Pizzas. 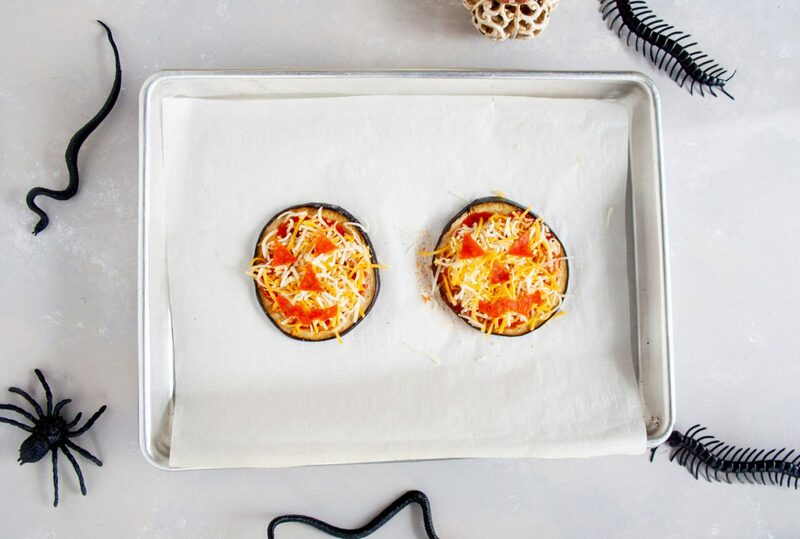 These low carb pizzas are perfect for fueling your kids before a night of trick or treating. This Halloween dinner bakes in the oven and can be horrifying if the cheese bubbles enough. Let’s all laugh at these photos together, shall we? You ever get an idea in your head and then it comes bubbling out of the oven and you realized mistakes had been made? 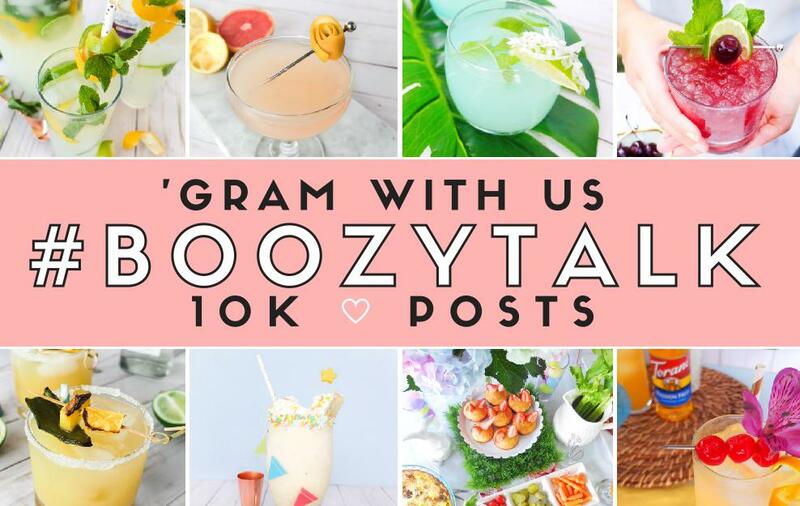 A giant “Oh NO!” comes blurting out…and you conclude you made a #PinterestFail before it even got a chance to be a #PinterestWin. Listen, I’ve made these Eggplant Pizzas a million times, it’s an easy go to for a weekday dinner. It’s a low carb alternative that I truly love and is tasty. Obviously, it’s cheese and pepperoni, who doesn’t love? My thought was with Halloween being on a Wednesday it would be nice to feed your little goblin a quick but healthier meal. I didn’t realize my cute jack-o-lanterns would actually be Freddy Kruegers popping out of the oven. Couldn’t I just re-photograph this recipe? Yeah, I could. I’ve made it before and didn’t have bubbling cheese turn into a replica of an unmasked Deadpool. Nor did I have pepperoni smiles sliding away to hide from its own self. However, it’s Halloween and these are mildly horrifying meets painfully funny. 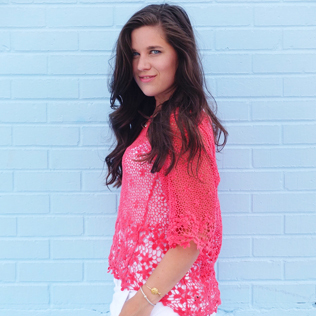 It’s also nice to be reminded that not everything has to be perfect and curated in the world of blogging all the time. I sincerely hope you make these. I hope they look better than mine and if they don’t I hope you laugh. I hope you laugh as hard as I did when these warlocks were created. So you’re about to see how cute these things started out. Start by slicing rounds of eggplant. One eggplant yields around 8-10 pizzas. Brush them with olive oil, salt them, and add them to a 400-degree oven to bake for 10 minutes. After they’ve cooked top them with pizza sauce, Italian seasonings, and shredded cheddar cheese (freshly shredded will bake better). Then using pepperoni slices, cut out your jack-o-lantern faces out of the pepperonis. Place them on your pizzas then add back to the oven for another 10 minutes or until cheese begins to bubble. RIP those cute little faces. 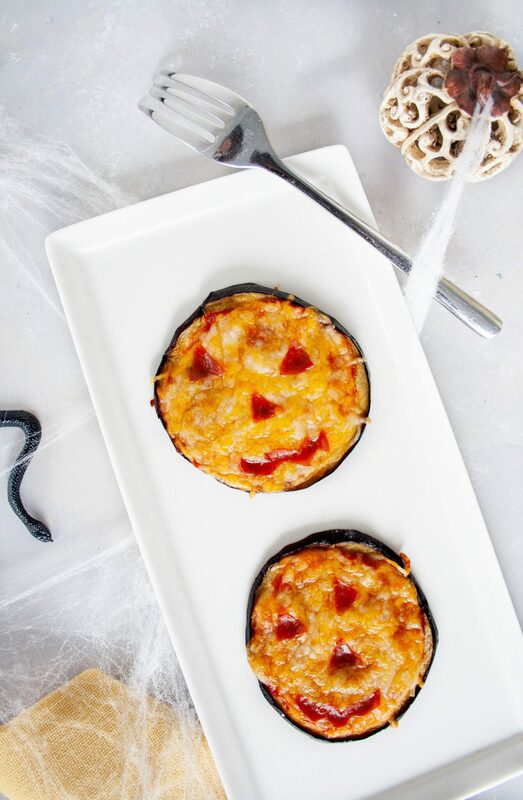 Halloween Eggplant Pizzas for dinner. 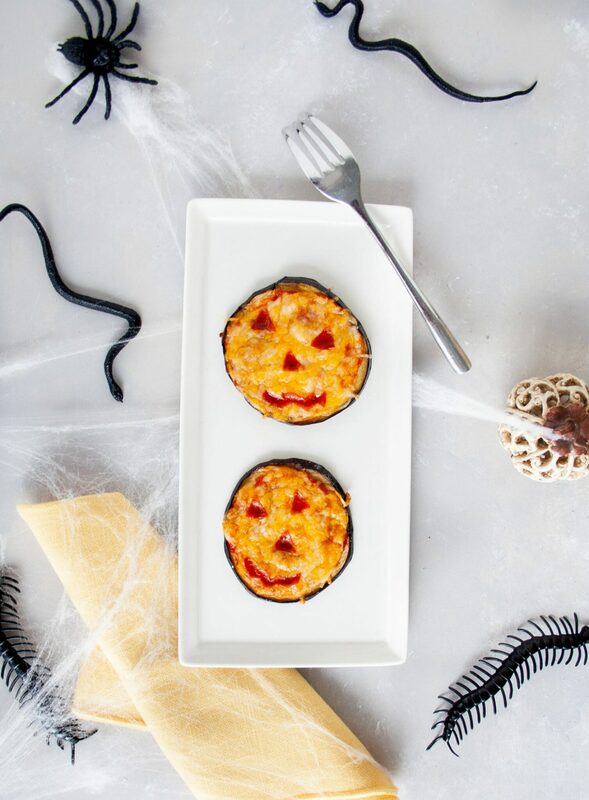 These low carb pizzas are perfect for fueling your kids before a night of trick or treating. Slice eggplant into 1/4 inch rounds. 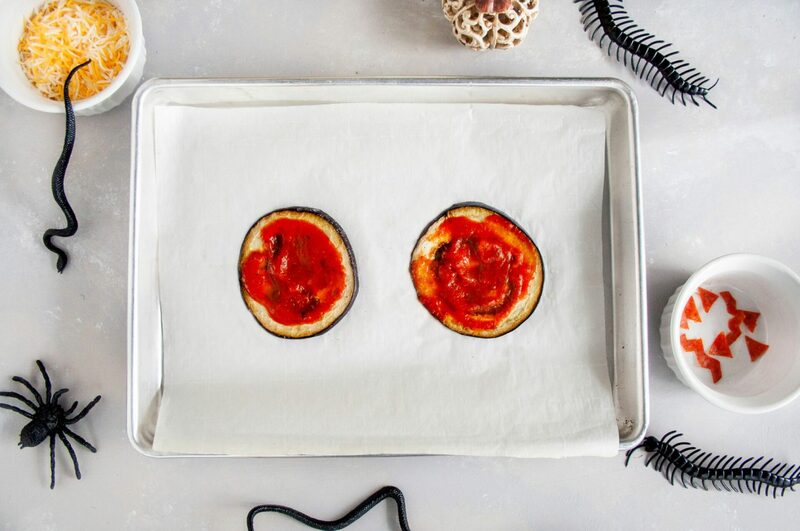 Brush Olive Oil on both sides of your eggplant rounds and sprinkle with salt and Italian seasonings on the top side. Put in the oven to bake for 10 minutes. In the meantime cut jack-o-lantern eyes, noses, and mouths out of the pepperoni slices. Once the eggplant has cooked pull it out of the oven. Top with pizza sauce, cheese, and pepperoni face decorations. Add it back into the oven for another 10 minutes or until cheese starts to bubble. Let cool for 3 minutes and serve. The longer I look at them, the more I start to think they might be cute. Might be. The sweetness of the eggplant pairs deliciously to the rest of the pizza ingredients that I don’t miss the pizza dough. Especially when I”m looking to be a little healthier. 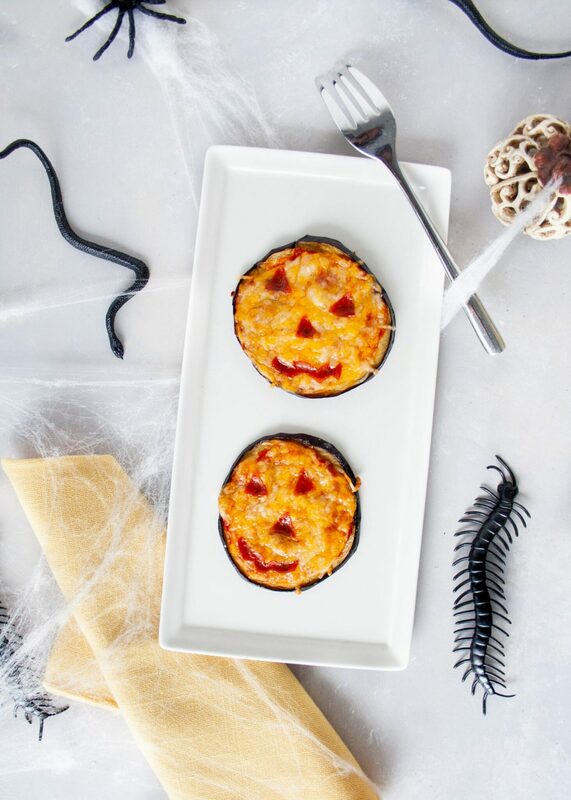 I hope you got a good laugh at me performing a Nightmare Before Christmas on my eggplant pizzas. I truly hope you make these delicious pizzas. It’s such a quick meal you can make for your family before a night of Tricks and Treats. If you like these more real life posts, let me know down below. There are plenty of times I have to re-shoot food because of silly mess ups within and out of my control. So it could be a fun series of “Opps” posts. Leave me comments below on your thoughts!